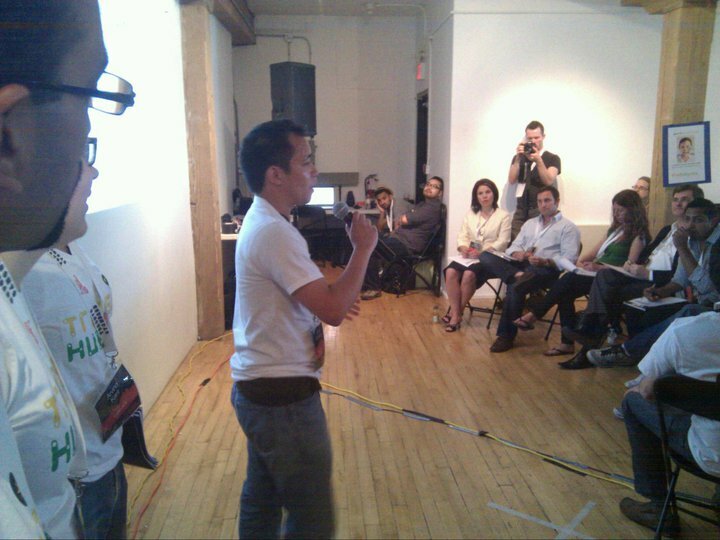 This past June, I did just that, participating in the Toronto edition of Startup Weekend, a three-day Dragon's Den/Apprentice-style competition that is part development marathon and part business incubator. Along the way, I pitched an idea (TransitHub.ca), formed a crack team of developers, designers, and business-experts, and succeeding in producing and presenting an exciting demo. It wasn't easy - there was plenty of blood, sweat, and tears all around - but we accomplished what we set out to do. But what did I actually learn from the experience, and what insights will I take with me when attempting to build another winning startup idea? This post will touch on three key learnings that your friendly neighbourhood advertising planner took away from this initiation into the startup universe. First thing's first, how do you come up with an idea for a lean startup - in other words, an idea for a web or mobile-based application? Without a doubt, envisioning an idea that is insightful, original, and has the potential to make a lot of money is the hardest part of the development process. Without a good idea, you've got nothing. So where do you begin? One mantra that was thrown around throughout Startup Weekend was the "Problem-Solution" method: begin by first identifying a problem among a core group of people, then create an app that will help solve that problem. Problems are most often described as "pain points", an unfulfilled need that a specific group of users has, or a need that is currently being fulfilled, but not in the most intuitive or interesting way. Starting off with a specific problem is how most of the ideas at the event were pitched (and most likely, born). Here's a thought that I raised, though: why limit your creative energy by only looking for problems to solve, when you can look instead for opportunities to take advantage of? Why compete in an existing market when you can create a brand new one? Lean startups and the web/mobile web offer almost limitless possibilities for ideas that can change the way people interact with each other and live their lives. Ideating against opportunities instead of problems means you are now attempting to create a need - to build something that people don't even realize they need... yet. Take Twitter, for example. No one asked for a 140 character limit, hashtags, or retweets - but hey, here we are now, addicted to a new form of messaging! 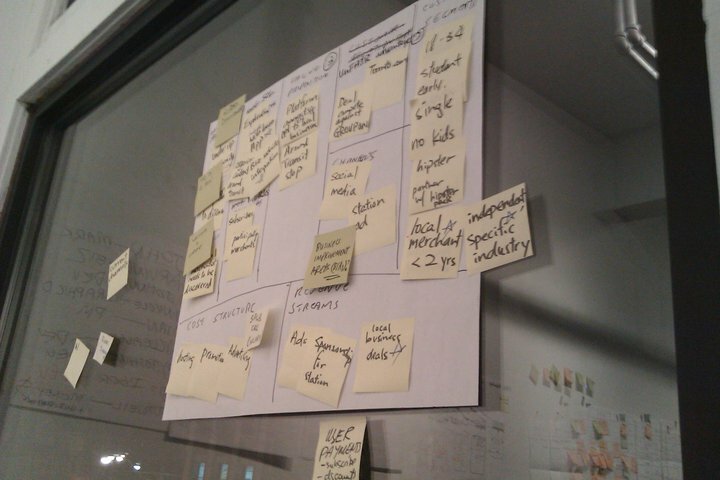 One thing that took me by surprise during Startup Weekend was how formalized the lean startup process actually is. Once outlining the "Problem-Solution" of your startup idea, the next step is to map out the various elements of the idea, from the user segment to the sources of business, on an all-encompassing chart called the Lean Canvas. Think of the Lean Canvas as a one-slide summary of all of the essential information that one would need to know about an app idea. In a sense, it's a quasi-business plan. One potential pitfall to avoid, however, is using the Lean Canvas as a brainstorming tool rather than a summary of the ideas brainstormed. As with a Creative Brief in advertising, the writer of a Lean Canvas should have already brainstormed what the idea is, who it would be useful to, how it's better than the competition, how to make money off of it, etc., before attempting to fill out the chart. If you try to complete the Lean Canvas before fully fleshing out the idea, you'll end up filling out each box independently, like a form, resulting in a Canvas that seems fragmented and all over the place. My takeaway? Once you've got the seed of an idea, spend lots of time brainstorming and building on it, exploring possibilities. What might several key features be? Who would benefit the most from it? What are the features that users, or advertisers, would be willing to pay for? Ask away - go crazy. The point is, don't bother mapping out the idea on the Lean Canvas until you've fully-explored it first, and stretched every possibility. Then, once you've got a solid vision of what you want to build, use the Lean Canvas as a tool to capture and summarize the most important information. Okay, so you've got a killer startup idea that is both insightful and well thought-out, according to your Lean Canvas. Now, you've got to actually go ahead and build the thing. All the hard decisions have already been made, though, right? Wrong. The reality is, the execution of an app - the look, feel, design, and interface - is just as important as the idea behind it. What good is a solution if people struggle to use it, can't find the content they need quickly and easily, or simply put, just don't like the look of it? Herein lies a developmental dilemma. In order to avoid building something that people may not enjoy using, one option is using what already exists as a starting point, and building off of that. In other words, remaining close to existing conventions. For example, the reason that most websites look, feel, and are navigated in a similar way is not because people are especially attuned to getting content in a specific way, but because most websites are simply designed like that. Nested menus, endless tabs, pages teeming with content - that's just how websites are. Conventions are safe. People are used to them. Why bother changing anything? Because breaking conventions can not only make a great idea truly innovative, but it can result in a design and interface that changes the way people interact with websites and apps for the better. Simply put, breaking conventions can result in new, intuitive, and engaging experiences. Think about how the touch screen interface and the smaller screen real-estate of the Smartphone has changed the way that developers design mobile apps and websites. The key questions to ask yourself as you're planning and developing the interface of your app - how would an app like this conventionally look and feel? What would be the most intuitive look and feel, the best way to navigate and find content, if I threw out all of these pre-existing conventions? Brainstorm some unconventional ideas, then test them out. You might just be surprised at what catches on! 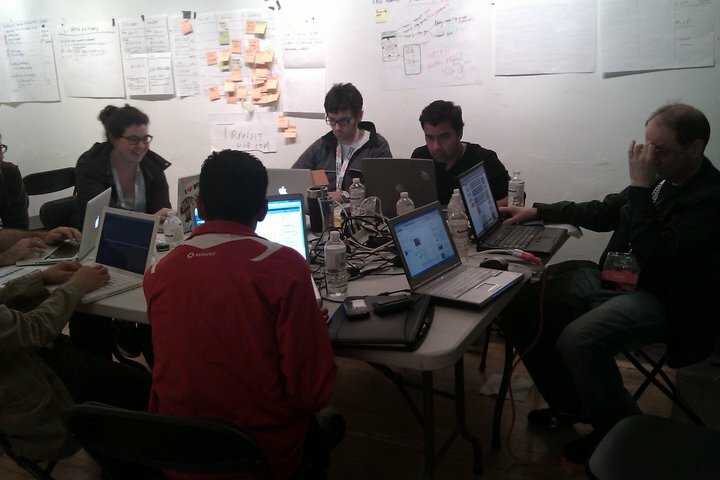 Overall, Startup Weekend was an engaging and enriching learning experience, and a fun one, at that. Not only did I get to work with a great team and meet some motivated and inspiring individuals, but I got to learn a few things along the way - from starting with an opportunity, to thinking outside of the canvas, to breaking conventions. And as a bonus, my startup idea and team at TransitHub.ca are dedicated to making our startup a reality. Wish us luck! Good luck for Transit Hub!